Our call/contact/support center audits are conducted onsite and include detailed analysis, assessments, and recommendations for performance improvement. We perform a wide range of call/contact center services, including business process design and evaluation, performance metrics, reporting, management systems, infrastructure , organization, technology applications, and interdepartmental touch points. Our guiding principle remains the same throughout our process - each part represents the whole. This means that all areas of the company impact the customers' perception of your organization and each will be a part of our assessment. A "gap analysis" is conducted to define your current environment with a recommended business plan. We identify both short and long term goals, and provide you with a "phase in" project plan. Included are recommendations for performance improvement, benefits, opportunities, ROI's, and cost-benefit analyses from a high level for upper management to a very specific drill down for those who will be responsible for the day-to-day project activity. Why Evans Consulting? Our team of experienced leaders in sales, marketing, call center management, and training and development will take an objective look at each touch point process keeping in mind throughout the process that EACH department has an impact on the overall service delivery process. 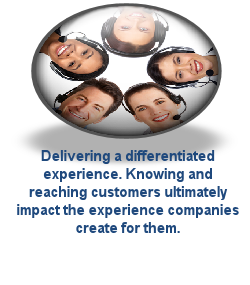 We believe contact centers that implement a holistic and customer centric approach to the overall service delivery work more effectively because the entire organization becomes involved in the customer experience.